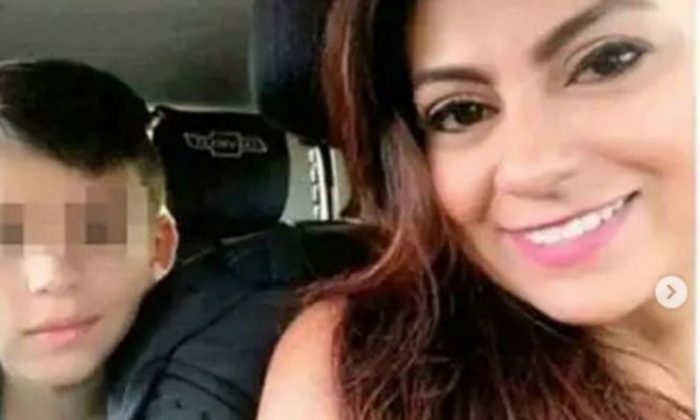 A Colombian mother jumped 300 feet to her death last month as she was holding her son, according to reports this week. Jessy Paola Moreno Cruz reportedly jumped 330 feet from the La Variante Bridge in Tolima with her 10-year-old son, May Ceballos, in her arms. “The psychologists and the police could not do anything to prevent this woman from throwing herself into the void,” said a local official about the incident, as reported by La Gran Epoca. The woman threw herself off the bridge with the child after desperate pleas from onlookers and emergency responders. Police attempted to coax Moreno Cruz to come down off the edge but were unsuccessful. Emergency responders and community members were seen on video pleading with the mother not to jump. “They begged her not to do it and tried to convince her to stop … but sadly, she took the fatal decision,” firefighter Rafel Rico said, reported the Daily Mail. Another responder was seen crying and dropped to his knees after seeing the incident. “This ends up hurting or even costing the life of the person,” Ibague Mayor Guillermo Alfonso Jaramillo was quoted as saying by the Mail. “This lady, who was a single mother, unfortunately was desperate at the pressure of [paying back] debts,” he added. The murder-suicide is still under investigation. “I think that many people who watched this video felt their soul hurt,” said witness Andres Valencia, adding that it’s even harder for people with “children and love them with their souls,” according to La Gran Epoca. Moreno Cruz and her child were apparently homeless after being evicted from home after she did not have enough money for rent, reported The Mirror, citing local news outlets. Other details about her case are not clear. El alcalde de Ibagué reveló detalles que motivaron la fatal decisión. There has been a constant flow of Venezuelans coming into Colombia amid crippling socialist policies. 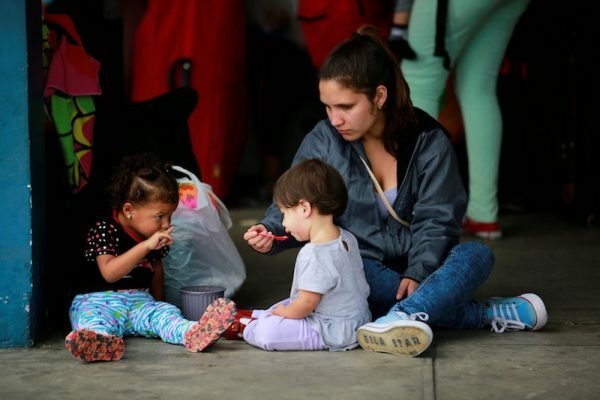 “People come to buy food, medicines, hygiene items, and basic goods, or to sell jewelry and other small technological goods—many women are even selling their hair,” said Luis Fernando Ramírez, the head of Action Against Hunger in Norte de Santander, according to ReliefWeb. “We are also talking about an area where armed groups continue to operate, so it is a doubly affected area,” Ramírez added. He noted there were about 189 cases of young children under the age of 5 suffering from malnutrition in the area. “In addition to the problems of malnutrition and anemia, there is a desperate need for basic sanitation and hygiene facilities, as well as cash to rent a room or buy food,” said Benedetta Lettera, who is the regional manager for Action Against Hunger in Latin America. “Our teams, present in Colombia since 1998, are redoubling their efforts to address the crisis in the departments of Guajira and north of Santander, as well as in Peru, and we are finalizing a humanitarian response to support migrants in other places such as Nariño and Bogotá,” she added.